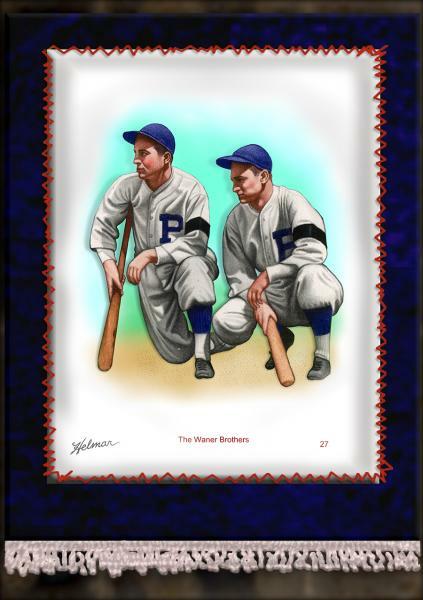 Described in the hobby press as "absolutely gorgeous", these large silks (11-1/2 x 14") were issued in two series including (16) in 2007 and (16) in 2008. The 2007 series were limited to (40) each, the 2008 series were limited to (50) each. The 2008 series also included a special unnumbered piece which features a Native American warrior that fought against Custer at the Little Big Horn. Key stars are Babe Ruth, Rogers Hornsby, Nap Lajoie and Joe Jackson.